If you are an attorney with portable business, your business plan is even more important than your resume. When you were an associate, the first thing a potential employer looked at was your resume when deciding whether to give you an interview. Now, the first thing, and sometimes the only thing, they will look at is your business plan. It is absolutely imperative that you create a business plan that represents you accurately and advantageously. Your business plan is an opportunity to show a whole picture of your life as a lawyer. Employers want more than hard numbers. Who are your clients? How are they connected to one another? Are they all in the same industry, making you a partner who has developed an industry niche? Are they the product of cross-selling the clients of other partners in your firm? Are they the product of client referrals? Of prior existing personal relationships? All of these elements will give potential employers an idea of what type of marketer you are, and how well that might fit in to their scheme. A background of your practice and professional history will answer many of their questions about what type of lawyer you are. If you have a niche practice, describe how you developed it. Do you have an undergraduate degree that made you a natural fit for a particular area of expertise? Did it come through repeat work for a particular client? Before you get to numbers, it is important to give employers an explanation of who you are, what your areas of expertise are, who your clients are, and the nature of your relationships with them. Of course, you will have to include numbers in your plan. Estimating numbers is one of the most difficult hurdles for partners in writing a business plan. Law firms know that a business plan is based on estimates, and that no one can predict the future exactly. They know that business you are confident will follow you might not, in fact, follow. They know that relationships you think are unbreakable may be broken. They know that business often leaves for reasons that have nothing to do with you (your friend the in-house counsel is replaced by the Board of Directors, for example). By the same token, surprise business often comes along with migrating attorneys. Therefore, the best you can do is give a conservative estimate of the business you truly believe will follow you. I often have attorneys rate the likelihood of retaining that business on a scale of highly likely to unlikely, or something similar. You want to exceed expectations when you join a firm, but don't undersell yourself to the point where you don't get the job, because you are afraid that you will be held exactly to those numbers. Firms want to see your track record of the past few (usually three) years as a basis for future predictions. Here, provide your billable rate, the number of hours billed (on both clients you originated and those you didn't, if appropriate) and designate which clients you originated. Some partners name the names of their clients; some are not comfortable doing that, and supply instead a general description of the client (industry, annual revenues, nature of your relationship with the client). Law firms want to be confident that if some of your existing portable business does not follow you, whatever the reason, that you have the skills and connections to create new business relationships. Because of this, the next section of this article is especially important. Partners sometimes do not give this section the attention it deserves. As noted above, law firms want some reassurance that if your big clients do not follow you for whatever reason, you will be able to make up that deficit based on your skill and connections. In this section, you create that confidence. Discuss contacts and potential business opportunities that you know of and have not yet explored (and explain why, if appropriate). This is also a great opportunity to show why your target firm would be a better platform for developing the client than your current firm. Here also, you may choose to name names of the potential clients or just describe them generally. This is the part of the plan where you relate how you market to clients generally. Do you regularly speak on legal topics? Are you active in your community? Do you volunteer? Or are your clients based on personal connections? Law firms want to know that however you get your clients, they come from diverse sources, and won't all disappear at once. If cross-selling is a big part of your strategy, talk about what you have done in the past to cross-sell. If you are targeting particular firms, explain what angles, relationships and expertise make you uniquely able to cross-sell their existing clients. If you have not cross-sold in the past, be clear that you are open to cross-selling and explain how you will help other attorneys within the firm cross-sell your clients. What are the firm's strengths that may be attractive to your clients? I can't tell you how carefully, especially on the partner level, firms think about whether candidates possess a specific type of personality. You will not be a fit for every type of firm, so just be yourself. Does the firm pride itself on being entrepreneurial and populated by hungry go-getters? Do you hear the term "laid back" in reference to this firm? Does it consider itself congenial? Family-friendly?Does the firm aspire to grow and become one of the larger, national firms? Do they showcase the academic backgrounds of the lawyers? You can be sure that their culture is very important to them, whatever that is. Don't adjust your plan or try to fit yourself into every firm, but learn everything you can about each firm. A good recruiter can help you with this, but you should also gather information from all possible sources. You want your business plan to reflect your own personality so that the firm can begin to determine whether you will fit in on a personal level. Cultural fit is extremely important for all concerned. 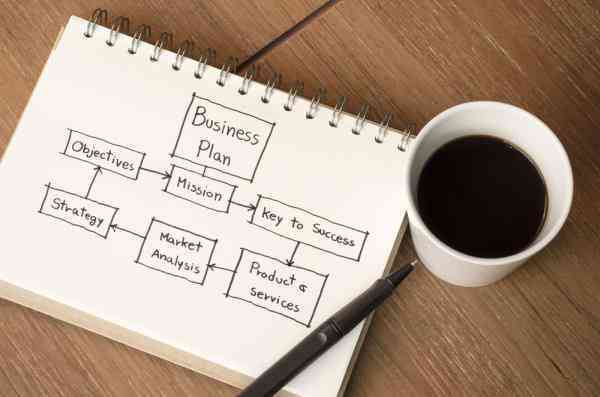 At the partner level, the business plan is the most important document you will create. It represents who you are as a partner and a person, and it answers all those questions that the firm will want answered before they will ask you for an interview. The job of the business plan is to allay any fears enough to make the firm want to bring you in and find out more. It deserves all of the attention and detail you can put into it. You will be glad you did. Looking for law firm partners job? Browse for live opportunities.